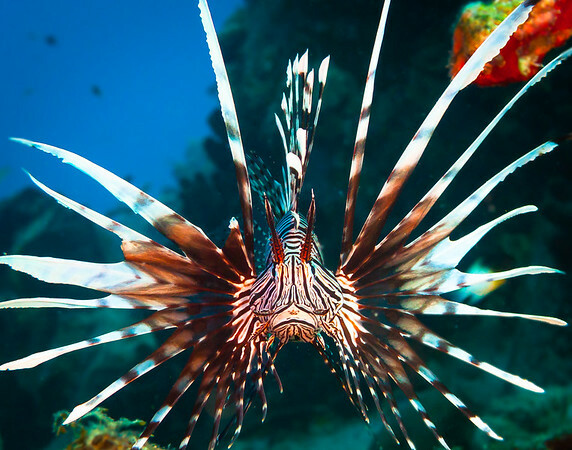 This lionfish is taking a defensive pose. The fact that I am much bigger does not seem to scare him, perhaps because he has poisonous spines. This is probably an adult of the first generation that made it to Bonaire, because it was one of the biggest lionfish spotted at the time (early 2010). At the Salt Pier, Bonaire.